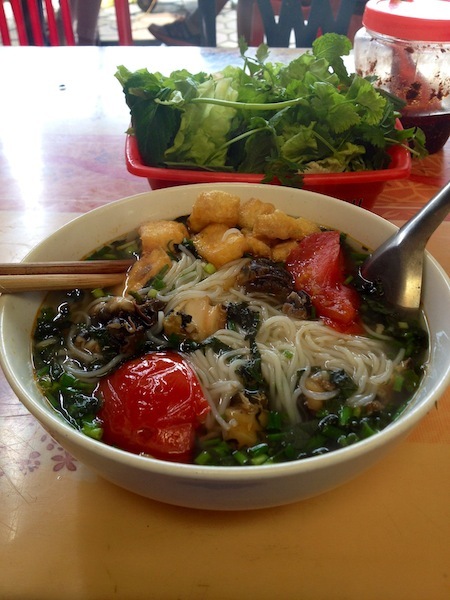 Oh, how I love Vietnamese food. There seems to be endless options of dishes, snacks and desserts to choose from. I recently read somewhere that there are roughly 200 dishes that are unique to Vietnam, and the style and flavor of food choices depends on what part of the country you are visiting. Even the style of noodles can vary based on region – Hoi An's cau lao dish uses my favorite thick noodles. Bun Oc. One of many noodle dishes to choose. Visiting a local market to purchase fresh produce and herbs to cook your own dish can be a learning experience. I occasionally purchase fruits and vegetables that I've never seen before to conduct cooking experiments on. Sometimes, you cut the fruit or vegetable open to find that you actually are familiar with the crop – I have now bought what turned out to be a form of cantaloupe and melon, they just look different on the exterior. And then there are those times when you feel like stepping out of your comfort zone and being an adventurous eater - a very easy feat in Vietnam. There are some foods I have yet to muster up the courage to try, but I have enjoyed my fair share of snails and squid, which were both new to me. I plan to tackle grasshoppers and snake next. 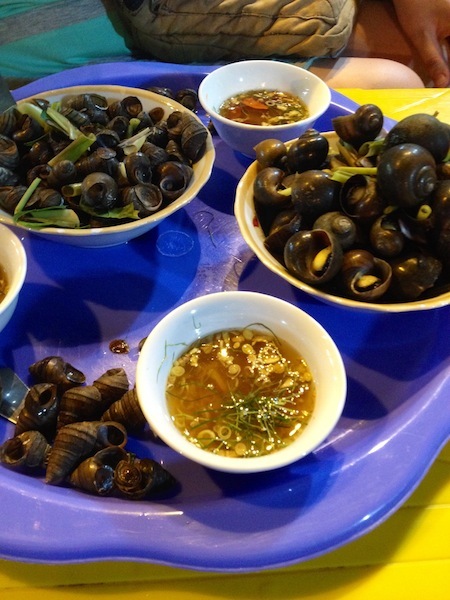 Snails with lemongrass dipping sauce. I will leave Vietnam (for now) at the end of June and I will miss the many varieties of fresh fruit available the most. I have fallen in love with mangos and would happily eat them every day for the rest of my life. 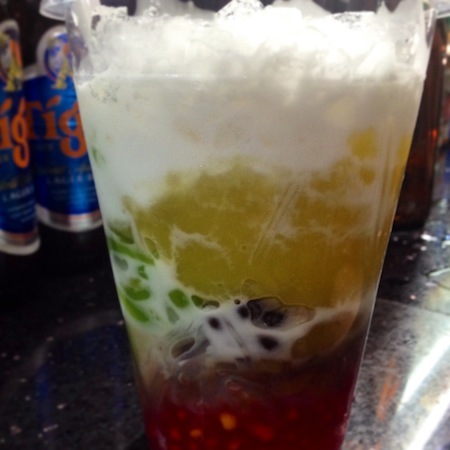 I have also immensely enjoyed jackfruit, dragon fruit and chom chom and lychee. 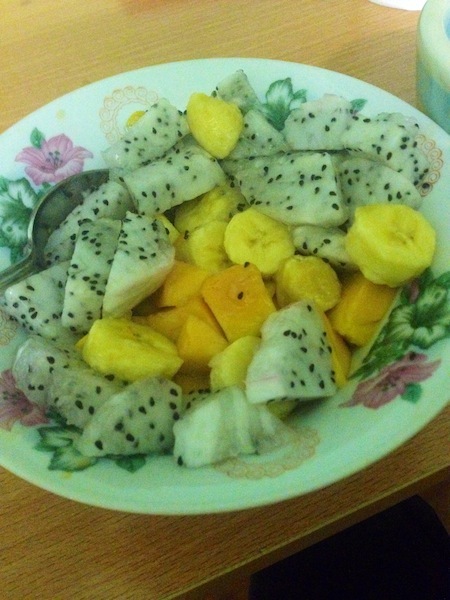 Mango, banana, dragon fruit, and honey. A breakfast staple. 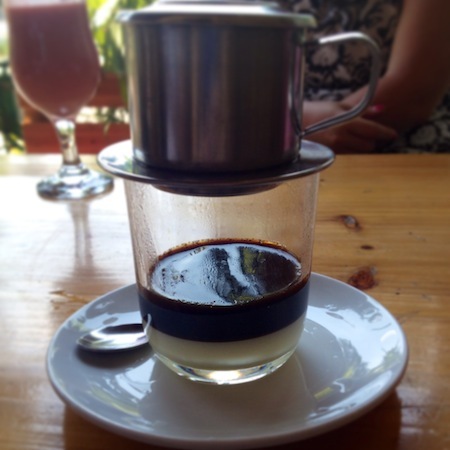 There is much to love about Vietnamese coffee. I could go on and on about the joy of eating in Vietnam, but I will leave you with this short blog and say that the deliciousness can only be appreciated in person. 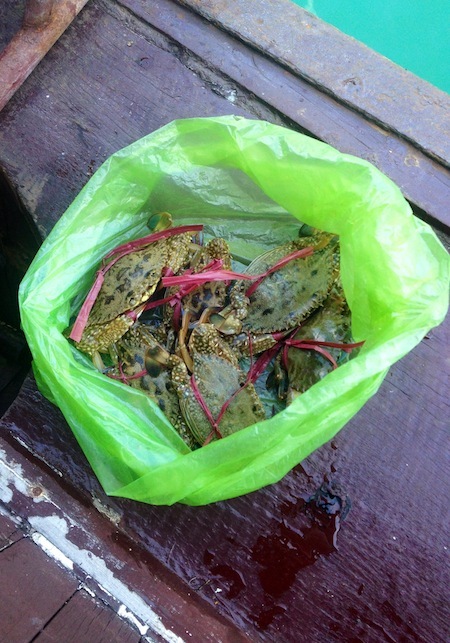 Crabs we had for dinner during our Halong Bay cruise.